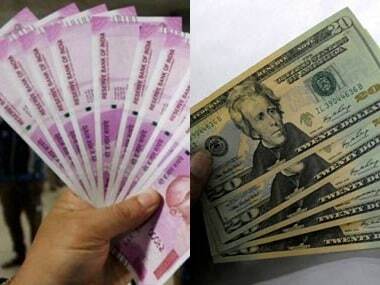 Mumbai: The rupee may average at 69.79 to the dollar in the second half, down 8.3 percent from the first half if the monetary authority props it up by mobilising at least $30 billion from NRIs as it has done in 2013. 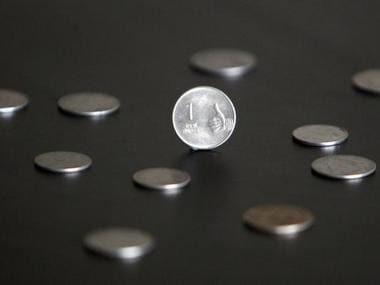 The rupee is the worst-performing emerging market currency losing over 15 percent year-to-date, while in the first half it averaged at 68.57 to the dollar, down 8.3 percent year-on-year, making the depreciation at a five-year high so far, says an India Ratings report. Following the market mayhem and the rupee plunge after the Fed 'taper tantrum' in summer of 2013, RBI mobilised $25 billion from non-resident Indians. The move was initiated by the then governor Raghuram Rajan soon after he took over the RBI reins in September that year. 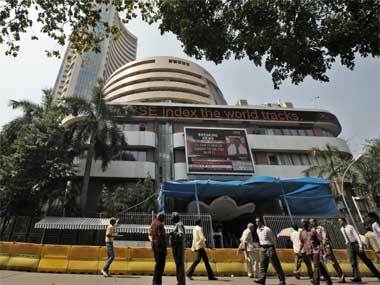 "The rupee depreciation against the dollar so far is at a five-year high. But a longer-term view suggests that average depreciation during FY15-FY19 will be only 3 percent, which is at par with the 20 years (FY1999-FY18) average depreciation," Devendra Pant, the chief economist at the agency said in a note Thursday. He further said the rupee may average at 69.79 to the dollar in the second half, down 8.3 percent from the first half provided the RBI mops up at least $30 billion from NRIs as it has done in 2013. 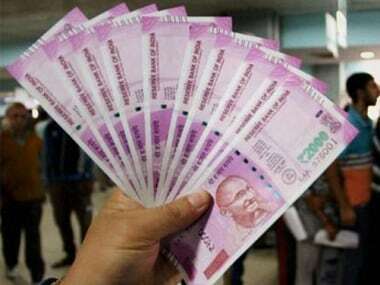 It can be noted that after-2013 episode when it had plunged to 86.83 to a dollar on 30 August that year, the rupee has enjoyed a relatively stable run, due to mobilisation of NRI deposits in foreign currency non-repatriable account; crash in global commodity prices, especially crude from September 2014, and delayed monetary tightening by the US Fed. emerged in FY18 itself," he said. The country meets over 82 percent of oil demand by crude imports. Though dollar requirements to fund merchandise imports has risen, there has been no commensurate earnings from merchandise exports. While the first line of rupee defence has traditionally been invisible, remittances and software earnings, this time around these could not grow at the same pace as merchandise imports. 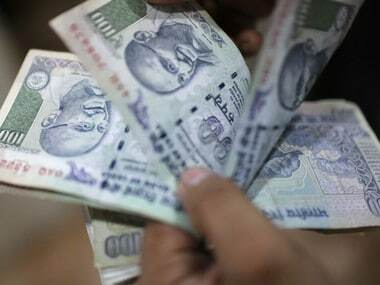 This widened the current account deficit and put the rupee under pressure. arbitrage was attractive, portfolio investments kept pouring in, not only keeping the rupee steady but also leading to rupee gains during 2014-17. But with US rates rising, the country saw net outflows of about $8.14 billion in the first half of the fiscal, leading to sustained rupee weakness throughout this fiscal. Pant also advised against import controls to defend the rupee and warned that the recent government decision to slap a higher import duty on select items at best may impact some of the electronic goods categories only. contributed a whopping 48.2 percent of trade deficit during the same period.